Map MultiPrism for Minecraft PE 0.10.0 - it's a survival map for Minecraft PE 0.10.0. On this map you will survive being in a special cubic blocks that will soar in the sky. Map mountain village for Minecraft PE 0.10.0 - on this map you will find a very interesting village to be located high in the mountains. On this map you will see a very beautiful and interesting world with beautiful nature of mountains. ASSEMBLY mods BY JAMMIN FOR MINECRAFT PE 0.9.5 - this is a great assembly with mods for Minecraft PE 0.9.5. Texture pack PocketBDcraft for Minecraft PE 0.10.0 - this interesting little cartoon textures for Minecraft Pocket Edition 0.10.0. Where is the boat, skins in Minecraft Pocket Edition? 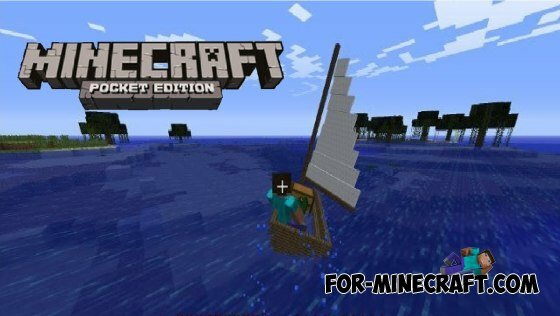 As you know Minecraft Pocket Edition has been updated to version 0.10.0 has been like a month, but many players are left with the question - "Where is the boat?". 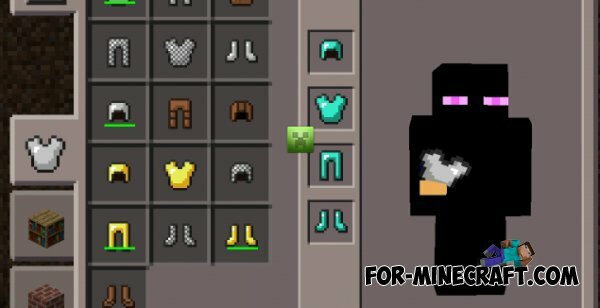 Texture Mob Armor for Minecraft PE 0.10.0 - this new armor texture for Minecraft Pocket Edition 0.10.0. With these textures you can become a mob game, because these textures replace the standard appearance of armor and make her look like a mob.